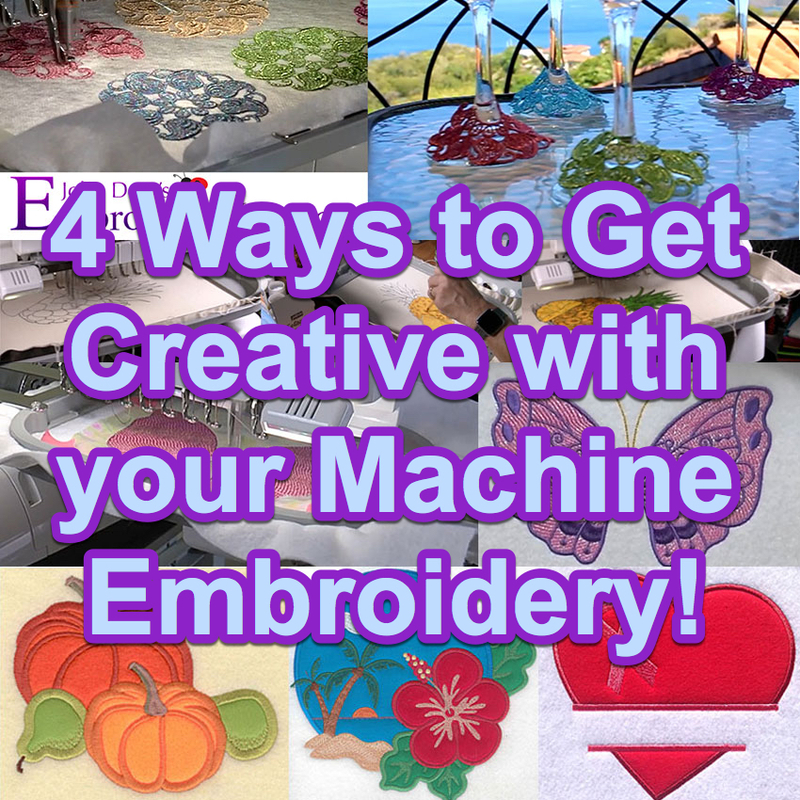 What are Mylar Embroidery Designs? Mylar embroidery designs have gained popularity recently as they’re a great way to add some sparkle to your next embroidery project! 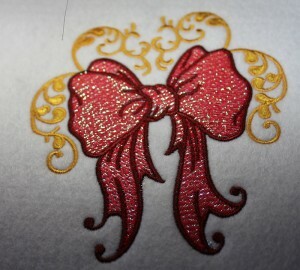 Rather than using metallic embroidery thread, using mylar embroidery designs is a more affordable alternative which also adds a glitter like appearance. 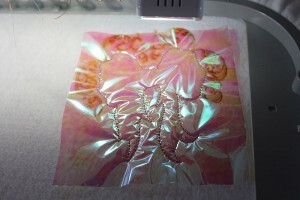 Mylar itself is a shinny plastic film that is used for many things, not only embroidery. Keep this in mind when purchasing Mylar for embroidery, you want to purchase the thin sheets which can often be in the wrapping paper isle of a craft store. Do not purchase mylar balloons & try to use these for machine embroidery. It is far too thick & will not yield the same results. If you’ve never personally seen a mylar design, they are really a cool creative idea. 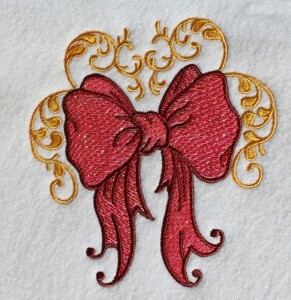 Given that mylar is shinny & reflective in nature, by putting a sheet of mylar into an embroidery design part way through the sewing process (much like an applique), more light reflects off the design & gives it a beautiful sheen. The true beauty of using mylar is that in terms of color, it has a 1 size fits all approach. You don’t have to buy separate colors of mylar, instead mylar picks up whatever color of thread you’re using on top of it! 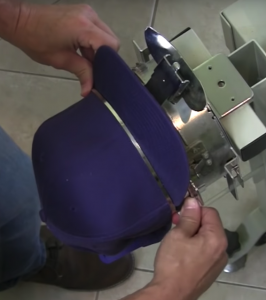 This means that after initially tacking the mylar down, you can let your machine run normally without having to add in multiple pieces. 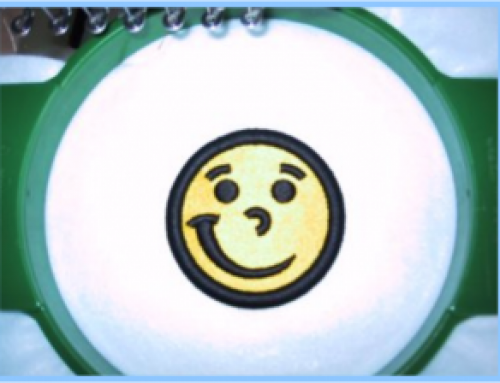 Are Mylar Embroidery Designs Digitized Different? 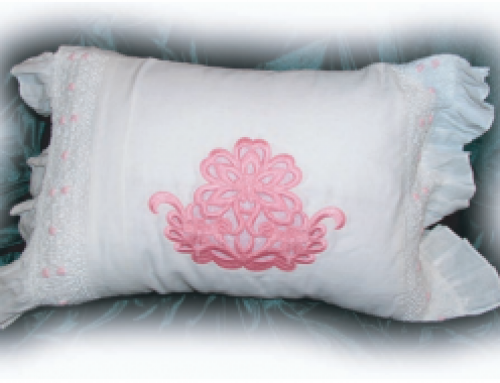 Mylar embroidery designs are digitized with a thinner density specifically for the thin film of mylar to be added underneath the fill areas & allow light to penetrate between the stitches & create a beautiful glitter like effect. Much like an applique design as well, digitizing mylar requires a tack down running stitch to hold the material in place. 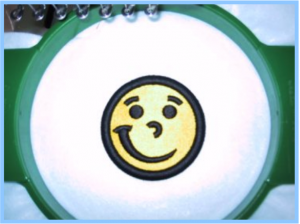 That being said, you can embroider mylar embroidery designs without inserting a sheet of mylar however you can not embroider a regular embroidery design with a piece of mylar. 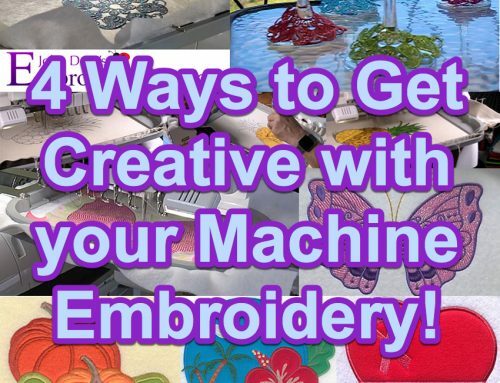 Step 1: find a mylar design you want to embroider. You can download any 1 design FREE from our website simply by creating an account if you haven’t before. 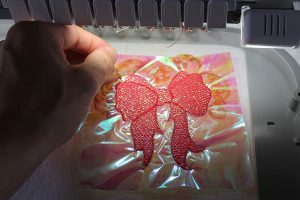 Step 2: Run regular embroidery element until you reach the “Placement Line” which will stitch a single running stitch outlining the shape for Mylar placement. Step 3: Place one piece of Mylar film over the “Placement Line”, use painters tape if needed to hold Mylar in place. 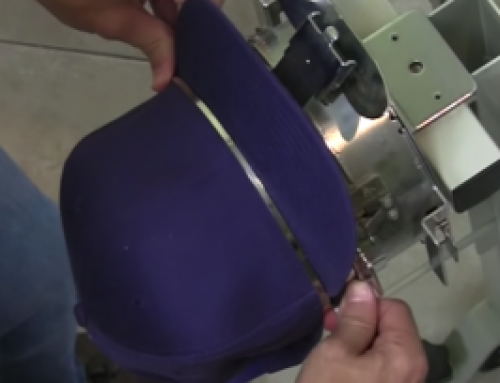 Step 4: Start machine and stitch “Tack Down” single running stitch. 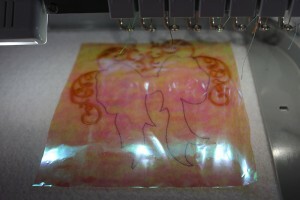 Step 5: Embroidery all the loose fill stitch elements on the Mylar film. 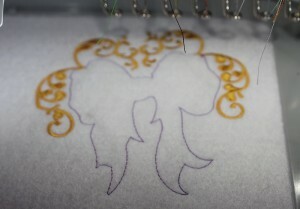 Step 6: Before embroidering the finishing outline stitches tear away the Mylar film. 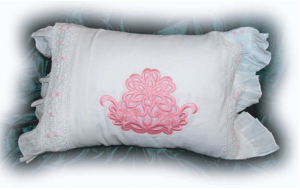 When embroidering laundered items with mylar, don’t put the finished item in the dryer on high heat. Although laundering in general shouldn’t cause issues (except the normal wear in tear). 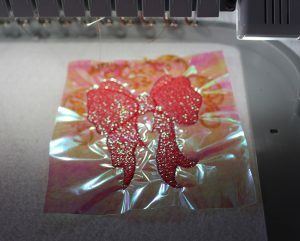 So try stitching out your own mylar designs now! 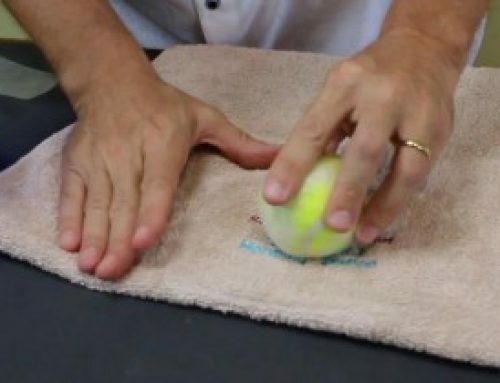 Let me know if this article helped you or if you have any questions… Happy stitching! They are certainly beautiful 🙂 Thanks Chris, glad you enjoyed it!